Interests: Predator/prey dynamics; nursery habitat and food availability for blue crabs. 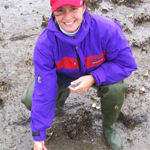 My research expertise encompasses three primary areas of focus, including (i) effects of environmental stress, such as shoreline development and hypoxia, upon benthic invertebrate diversity, (ii) predator-prey dynamics and top-down versus bottom-up control of benthic systems, and (iii) restoration ecology. My current research projects continue my emphasis on the three research areas noted above, and include the impacts of habitat degradation on faunal communities, restoration of bivalves in Chesapeake Bay, nursery habitat quality for the blue crab in Chesapeake Bay, benthic predator-prey relationships, and food-web dynamics. Additional interests include experimental and theoretical population and community ecology of marine benthic and epibenthic organisms focused towards a quantitative understanding of processes operating in estuaries and the coastal ocean. Ecosystem services of restored oyster reefs in lower Chesapeake Bay. Funded by NOAA CBO – Fisheries Science. October 1, 2014- September 30, 2016. Co-PI (with PI Rom Lipcius). Field Experiments on Bay Scallop Restoration in the Lynnhaven River. Funded by Army Corps of Engineers. April 15, 2008- April 14, 2009. PI. Benthic Habitat Quality in Shallow-Water Nurseries of Chesapeake Bay. -- Funded by NOAA Chesapeake Bay Office. November 2005 -November 2008. PI. Alternative Ecosystem-Based Restoration Approaches with Native Oyster Metapopulations in Chesapeake Bay. Funded by the Army Corps of Engineers. July 2005- July 2007. (co-PI with PI R. Lipcius, co-PIs J. Hoenig, S. Schreiber, and H. Wang). Blue Crab Ecology and Fishery Biology. Funded by the Commonwealth of Virginia. (Co-PI with R. Lipcius). Quantitative Valuation of Nursery Habitats for the Blue Crab. Funded by Virginia Sea Grant. Feb. 2007-Jan. 2009 (Co-PI, with PI R. Lipcius, and co-PIs J. Hoenig, B. Orth, S.Schreiber, and J. van Montfrans). Research Experience for Undergraduates (REU) in Coastal Marine Science at the Virginia Institute of Marine Science. Amount: April 2012-April 2017 (Director). Funded by the National Science Foundation. Virginia’s Governor’s School Marine Science Apprenticeship. Summers Annually. Funded by the Virginia Department of Education. Director. Hernandez Cordero, A.L.1, R.D. Seitz. 2014. Structured habitat provides a refuge from blue crab, Callinectes sapidus, predation for the bay scallop, Argopecten irradians concentricus (Say 1822). Journal of Experimental Marine Biology and Ecology 460:100-108. DOI: http://dx.doi.org/10.1016/j.jembe.2014.06.012. Long, W.C1, R.D. Seitz, B.J. Brylawski1, R.N. Lipcius. 2014. Individual, Population, and Ecosystem Effects of Hypoxia on a Dominant Benthic Bivalve in Chesapeake Bay. Ecological Monographs 84(2): 303-327. DOI: http://dx.doi.org/10.1890/13-0440.1. Lawless, A.S.1, R.D. Seitz. 2014. Effects of shoreline stabilization and environmental variables on benthic infaunal communities in the Lynnhaven River system of Chesapeake Bay. Journal of Experimental Marine Biology and Ecology 457: 41-50. DOI: http://dx.doi.org/10.1016/j.jembe.2014.03.010. Seitz, R.D., H. Wennhage , U. Bergström, R.N. Lipcius, and T. Ysebaert. 2013. Published online Oct 14, 2013. Ecological value of coastal habitats for commercially and ecologically important species. ICES Journal of Marine Science 71(3): 648-665. DOI: http://dx.doi.org/10.1093/icesjms/fst152. Sturdivant, S.K., R. D. Seitz, and R.J. Diaz. 2013. Effects of seasonal hypoxia on macrobenthic production and function in the Rappahannock River, VA, USA.Marine Ecology Progress Series 490: 53–68. Ralph, Gina M., R.D. Seitz, R.J. Orth, K.E. Knick, and R.N. Lipcius. 2013. Broad-scale association between seagrass cover and juvenile blue crab density in Chesapeake Bay.Marine Ecology Progress Series 488: 51-63. Hernandez Cordero, A.L., R.D. Seitz, R.N. Lipcius, C.M. Bovery, D.M. Schulte. 2012. Habitat Affects Survival of Translocated Bay Scallops, Argopecten irradians concentricus (Say 1822), in Lower Chesapeake Bay. Estuaries and Coasts 35:1340–1345. Seitz, R.D. 2011. Gradient effects on structuring of soft-bottom infauna: Macoma balthica and predation, recruitment and food availability.Journal of Experimental Marine Biology and Ecology: 409: 114–122. Seitz, R.D., K.E. Knick, M. Westphal. 2011. Diet Selectivity of Juvenile Blue Crabs (Callinectes sapidus) in Chesapeake Bay. Integrative and Comparative Biology 51(4): 598-607. Seitz, R.D., D.M. Dauer, R.J. Llansó, and W.C. Long. 2009.Broad scale effects of hypoxia on benthic community structure in Chesapeake Bay, USA. Journal of Experimental Marine Biology and Ecology381: S4-S12, doi:10.1016/j/jembe.2009.07.004. Long, W. C., and R.D. Seitz. 2009. Worsening effects of hypoxia on macrobenthic community structure in Chesapeake Bay tributaries. Estuaries and Coasts 32: 287–297, doi: 10.1007/s12237-009-9132-5. Seitz, R.D., R.N. Lipcius, K.E. Knick, M.S. Seebo, W.C. Long, B.J. Brylawski, and A. Smith. 2008. Stock Enhancement and Ecosystem Carrying Capacity in Blue Crab Nursery Habitats of Chesapeake Bay. Reviews in Fisheries Science 16: 329-337. Seitz, R.D., and A. Lawless. 2008. Landscape-level impacts of shoreline development upon Chesapeake Bay benthos and their predators. Pp. 63-70 In Erdle, S.Y., J.L. Davis, and K.G. Sellner (Eds): Management Policy, Science and Engineering of Nonstructural Erosion Control in the Chesapeake Bay: Proceedings of the 2006 Living Shoreline Summit. CRC Publ. 08-164, CRC Press, 152 pp. Long, W.C., and R.D. Seitz. 2008. Trophic interactions under stress: hypoxia enhances foraging in an estuarine food web.Marine Ecology Progress Series 362: 59-68. Long, W.C., B.J. Brylawski, and R.D. Seitz. 2008. Behavioral effects of low dissolved oxygen on the bivalve Macoma balthica. Journal of Experimental Marine Biology and Ecology 359: 34-39. Lipcius, R.N., D.B. Eggleston, S.J. Schreiber, R.D. Seitz, J. Shen, M. Sisson, W.T. Stockhausen, and H.V. Wang. 2008. Metapopulation connectivity and stock enhancement of marine species.Reviews in Fisheries Science16: 101-110. Zohar, Y., A. H. Hines, O. Zmora, , E. G. Johnson, R. N. Lipcius, R. D. Seitz, D. B. Eggleston, A. R. Place, E. Schott , J. Stubblefield, and J. S. Chung. 2008. The Chesapeake Bay blue crab (Callinectes sapidus): A multidisciplinary approach to responsible stock replenishment. Reviews in Fisheries Science 16: 24–34. Long, W.C., E. Bromage, R.D. Seitz, S. Kaattari. 2008. Quantifying fecundity in Macoma balthica using an enzyme-linked immunosorbent assay (ELISA). Aquatic Biology 3: 187-193. Lipcius, R.N., R.D. Seitz, M.S. Seebo and D. Colón-Carrión. 2005. Density, abundance and survival of the blue crab in seagrass and unstructured salt marsh nurseries of Chesapeake Bay.Journal of Experimental Marine Biology and Ecology 319: 69-80. Seitz, R.D., L.S. Marshall, A.H. Hines, and K.L. Clark. 2003a. Effects of hypoxia on the Baltic clam (Macoma balthica) and predation by the blue crab (Callinectes sapidus) in Chesapeake Bay.Marine Ecology Progress Series 257: 179-188. Van Dover, C.L., P. Aharon, J.M. Bernhard, M. Doerries, W. Flickinger, W. Gilhooly, K. Knick, S. Macko, S. Rapoport, C. Ruppel, J. Salerno, R.D. Seitz, B.K. Sen Gupta, T. Shank, M. Turnipseed, R. Vrijenhoek, E. Watkins. 2003. Blake Ridge methane seeps: Characterization of a soft-sediment, chemosynthetically based ecosystem. Deep Sea Research I 50: 281-300. Seitz, R.D., R.N. Lipcius, W.T. Stockhausen, K.A. Delano, M.S. Seebo, and P.D. Gerdes. 2003b. Potential bottom-up control of blue crab distribution at various spatial scales.Bulletin of Marine Science 72 (2): 471-490. Lipcius, R.N., W.T. Stockhausen, R. D. Seitz, and P. Geer. 2003. Spatial dynamics of the blue crab spawning stock in a protected sanctuary-corridor in Chesapeake Bay.Bulletin of Marine Science 72 (2): 453-469. Seitz, R.D., R.N. Lipcius, A.H. Hines, and D.B. Eggleston. 2001. Density-dependent predation, habitat type, and the persistence of marine bivalve prey.Ecology 82 (9): 2435-2451. Seitz, R.D., and R.N. Lipcius. 2001. Variation in top-down and bottom-up control of marine bivalves at differing spatial scales.ICES Journal of Marine Science, 58: 689-699. Seitz, R.D., R.N. Lipcius, W.T. Stockhausen, and M.M. Montane. 2001. Efficacy of blue crab spawning sanctuaries in Chesapeake Bay. Spatial Processes and Management of Marine Populations. Kruse, Bez, Booth, Dorn, Hills, Lipcius, Pelletier, Roy, Smith, and Witherell (Eds). University of Alaska Sea Grant, AK-SG-00-04, Fairbanks, pp. 607-626. Lipcius, R.N., R.D. Seitz, W.J. Goldsborough, M.M. Montane, and W.T. Stockhausen. 2001. A marine dispersal corridor: deep-water migration pathway for adult female blue crabs in Chesapeake Bay. Spatial Processes and Management of Marine Populations. Kruse, Bez, Booth, Dorn, Hills, Lipcius, Pelletier, Roy, Smith, and Witherell (Eds). University of Alaska Sea Grant, AK-SG-00-04, Fairbanks, pp. 643-666. Seitz, R.D. 1998. Incorporation of soft-sediment systems into models of marine benthic community regulation.Marine and Freshwater Research 49: 817-826. Seitz, R.D., and L.C. Schaffner. 1995. Population dynamics and secondary production of the polychaete Loimia medusa (Savigny). Marine Biology 121: 701-711. Libelo, E.L., W.G. MacIntyre, R.D. Seitz, and L.F. Libelo. 1994. Cycling of water through the sediment-water interface by passive ventilation of relict biological structures. Marine Geology 120: 1-12. M.S. : Katherine Longmire - School of Marine Science, The College of William & Mary, Master’s Candidate - Entered fall 2017. Thesis topic: Predator-prey interactions under ocean acidification. M.S. : Shantelle Richards - School of Marine Science, The College of William & Mary, Master’s Candidate - Entered fall 2018. Thesis topic: TBD. M.S. David Schulte – School of Marine Science (Dept. of Fisheries Science), The College of William & Mary – Entered fall 2009. M.S. : Kristen Bachand - School of Marine Science (Dept. of Fisheries Science), The College of William & Mary - Entered fall 2016. Thesis topic: Understanding interannual fluctuations in seagrass and juvenile blue crabs in the York River. M.S. : Melissa Karp – School of Marine Science, The College of William & Mary, Master’s Candidate – Entered fall 2013, graduated August 2016. Thesis topic: The effect of habitat complexity and location on ecosystem services provided by restored oyster reefs: Implications for oyster reef restoration. Ph.D.: Cassandra Glaspie - School of Marine Science, The College of William & Mary –Entered fall 2010, graduated May 2016. Dissertation topic: Marine benthic predator-prey interactions and global change. Current position: Post-doctoral fellow in the Department of Fisheries and Wildlife at Oregon State University. M.S. : Theresa Davenport – School of Marine Science, The College of William & Mary –Entered fall 2009, graduated December 2012. Thesis topic: Consequences of shoreline development for near-shore benthic communities in Chesapeake Bay, USA: a temporal and trophic approach. Current Position: Doctoral Student at Northeastern University. Ph.D.: Samuel K. (Kersey) Sturdivant (co-advisor with Bob Diaz) – School of Marine Science, The College of William & Mary –Entered fall 2006, graduated May 2011. Received Hall-Bonner Fellowship and Best student Poster Award at 2009 ASLO meeting. Dissertation topic: The effects of hypoxia on macrobenthic production and function in the lower Rappahannock River, Chesapeake Bay, USA. Current position: McCurdy Post-Doctoral Scholar, Duke University Marine Lab. Ph.D.: Bryce J. Brylawski – School of Marine Science, The College of William & Mary –Entered fall 2003, graduated December 2008. Dissertation topic: Cultural eutrophication and the clam Macoma balthica: Evidence for trophic disruption and effects on blue crabs. Current position: Assistant Professor, Albright College. Ph.D.: William Christopher Long – School of Marine Science, The College of William & Mary – Entered fall 2002, graduated September 2007. Received EPA GRO Fellowship in 2005. Dissertation topic: Hypoxia and Macoma balthica: Ecological effects on a key benthic infaunal species. Current position: Research Ecologist/Research Fishery Biologist NOAA, NMFS. M.S. : Cassie Bradley – School of Marine Science, The College of William & Mary –Entered fall 2008, graduated May 2011. Thesis topic: The Impacts of Shoreline Development on Shallow-water Benthic Communities in the Patuxent River, MD. M.S. : Ana Liza Hernandez Cordero – School of Marine Science, The College of William & Mary –Entered fall 2007, graduated May 2010. Thesis topic: Exploring the Potential for Bay Scallop, Argopecten irradians concentricus, Restoration in the Lynnhaven River Sub-estuary of Chesapeake Bay. Current Position: Research Assistant, Academy of Natural Sciences of Drexel University, Center for Systematic Biology and Evolution, Philadelphia. Julia Carroll, Williams College, REU intern 2014 ("Comparison of Epifaunal Communities on Natural Oyster Shell and Alternative Substrates in the Chesapeake Bay"). Nina Jackson, Humbolt State University, REU intern 2013 ("A Before and After Control Impact Survey of a Living Shoreline in Lynnhaven Bay"). Jessica Braunstein, Lee University, REU intern 2012 (“Effect of shoreline type on crab and fish species: abundance, size distribution, and juvenile blue crab survival”). Elizabeth Gomez, Brown University, REU intern 2010 (“Effects of shoreline development and upland usage on multiple trophic levels in Chesapeake Bay”). Current position: Consultant, EA Engineering Science & Technology Consultants, Inc.Stacy Aguilera – Stanford University, REU summer intern 2009 (Secondary Production on Subtidal and Intertidal Rip-Rap Shoreline Structures Along the Patuxent and Lynnhaven Rivers”). Current position: PhD candidate, University of Miami. M.S. : Megan Wood – School of Marine Science (Dept. of Fisheries Sciences), The College of William & Mary – Entered fall 2010. M.S. : Richard Balouskus – University of Delaware (Major Advisor Tim Targett) – Entered fall 2008, graduation anticipated December 2012. M.A. : Kristin Erickson (W & M, Biology Department, Graduated Spring 2007). Master's thesis topic: Inactive Sulfide Mounds of the Manus Basin: Invertebrate composition and potential for a chemoautotrophic food web. PhD: Noelle Relles - School of Marine Science (Dept. of Biological Sciences), The College of William & Mary – Entered fall 2007, graduated May 2012. Dissertation topic: Coral reef cover on the islands of Bonaire and Curacao. Current position: Adjunct Lecturer at the State University of New York at Cortland and the State University of New York at Onondaga Community College. PhD: Russell Burke - School of Marine Science (Dept. of Fisheries Science), The College of William & Mary – Entered fall 2003, graduated May 2010. Dissertation topic: Alternative Substrates as a Native Oyster (Crassostrea virginica) Reef Restoration Strategy in Chesapeake Bay. Current Position: Lecturer, Christopher Newport University. M.S. : Lara (Gates) Kling - School of Marine Science (Dept. of Biological Sciences), The College of William & Mary – Entered fall 2009, graduated May 2012. Thesis topic: Habitat utilization and trophic interactions by fauna in a shallow estuary: Comparisons between clam aquaculture and natural sites. Current Position: Blue Sky Fund, Director of Academic Programs. M.S. : Justin Falls – School of Marine Science (Dept. of Fisheries Science), The College of William & Mary – Entered fall 2004, graduated December 2008. Thesis topic: The survival benefit of benthic macroalgae Gracilaria vermiculophylla as an alternative nursery habitat for juvenile blue crabs. Current Position: Naturalist at the Croydon Creek Nature Center in Rockville, Maryland. M.S. Kristin Erickson – Biology Department, The College of William & Mary – Entered fall 2005, graduated May 2007. Thesis topic: Inactive Sulfide Mounds of the Manus Basin: Invertebrate composition and potential for a chemoautotrophic food web. M.S. : Elizabeth Blake – Biology Department, The College of William & Mary – Graduated May 2006. M.S. : Jennifer Dryer – Biology Department, College of William & Mary – Graduated May 2004. Thesis topic: Dynamics at hydrothermal vents: evidence for stable macrofaunal communities in mussel beds on the northern East Pacific Rise. M.S. : Kathleen Knick -- Biology Department, College of William & Mary – Graduated May 2003. Thesis topic: Comparison of mussel-bed fauna at the Blake Ridge and Florida Escarpment seeps. MSCI 698 (06): Human Impacts on Ecosystem Services: Habitat Degradation. 2001- present: Research Associate. Smithsonian Environmental Research Center, Edgewater MD. 2003-4: Guest Editor – Journal of Experimental Marine Biology and Ecology.